How much does your housing situation affect your mental health? Social scientists have used two household datasets from the UK and Australia to explore the relationships between different forms of housing and people’s mental health. The report was created using data from the British Household Panel Survey (BHPS), the predecessor to Understanding Society. The study is based on 9,184 responses collected from 2,269 participants aged between 25 and 64 years during 2001-2008. This data was used in conjunction with data from The Household, Income and Labour Dynamics in Australia (HILDA) Survey. The mental health and wellbeing of home purchasers significantly worsened when housing became unaffordable*; they experienced higher levels of stress and anxiety. Private tenants in the UK were much less likely to experience a decline in mental health when experiencing unaffordable housing; this was compared to home owners. Those private tenants who did experience a fall in housing affordability had more generous forms of governmental support to call upon (Housing Benefit) and, potentially, access to a far larger stock of social housing than Australia– with 17% of the stock either council or housing association-owned. In contrast to the UK, when housing became unaffordable for private tenants, they experienced a significant decline in mental health, but that was not observed for home purchasers whose housing became unaffordable. In Australia, private tenants as a group were under considerable stress over the period 2001–2008, with 40% being low income with unaffordable housing costs (occupying unaffordable housing). 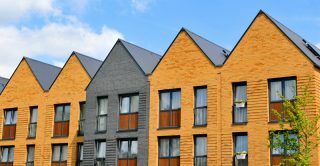 Further, compared to Australia’s small proportion of social housing (4%) the UK has a substantially larger social housing stock (17%), with approximately 9% of the housing provided by governments -councils – and a similar proportion provided by other social landlords – the housing associations. *In this study, unaffordable housing was classified if a person’s rent or mortgage payments exceeded 30% of their gross household income; an indicator of housing cost burden.